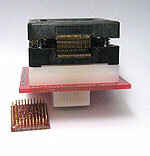 Adapters are listed in ascending pin count order. 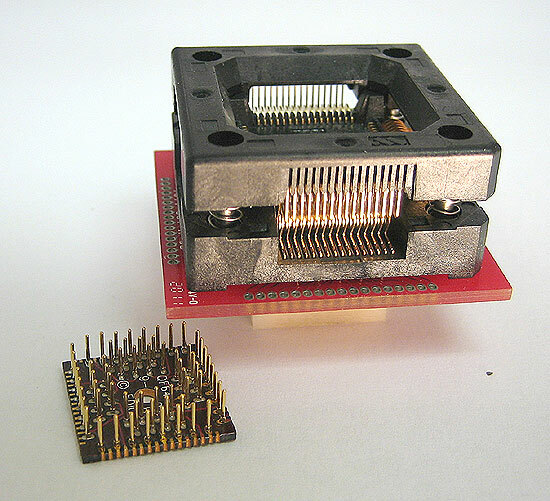 One surface mount base is included with each adapter. 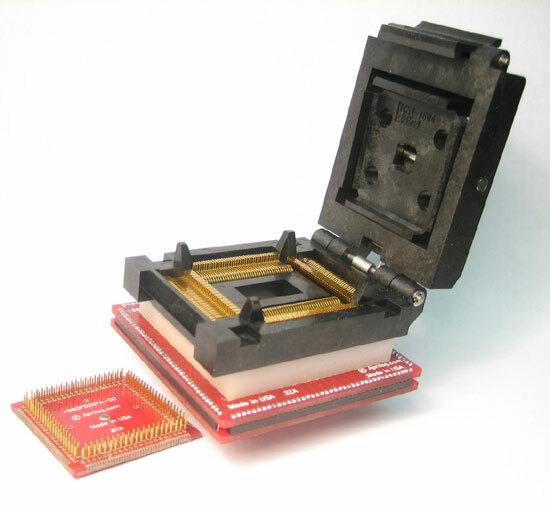 64QFR39-QF-ZL-SD-1 ZIF Closed top, lidded socket to pads for 64 lead QFP rectangular SMT package with 17.6 X 23.6mm tip to tip. 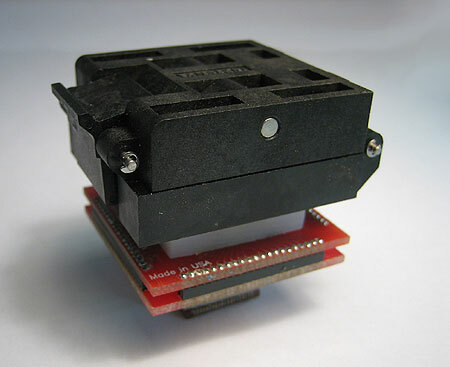 64QFR39-QF-ZL-SD-2 ZIF Closed top, lidded socket to pads for 64 lead QFP rectangular SMT package with 17.6 X 23.6mm tip to tip. 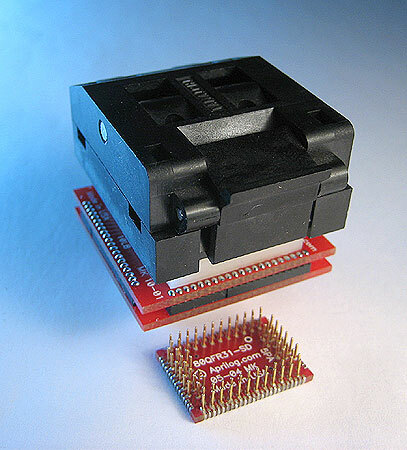 64QFR39-QF-ZL-SD-4 ZIF Closed top, lidded socket to pads for 64 lead QFP rectangular SMT package with 17.6 X 23.6mm tip to tip. 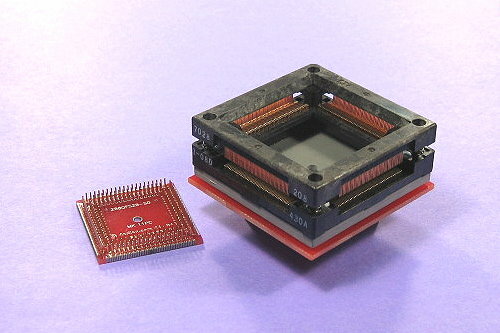 64QFS20-QF-ZL-SD ZIF Clamshell closed top socket to SMT pads for 64 lead QFP package. 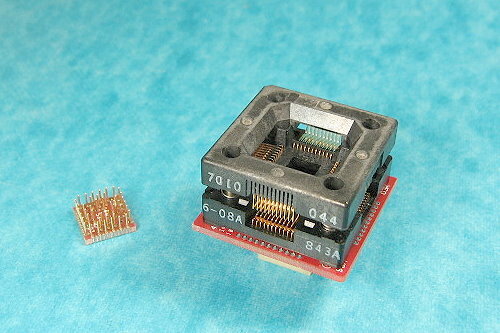 64QFS20-QF-ZO-SD ZIF open top socket to SMT pads for 64 lead QFP package. 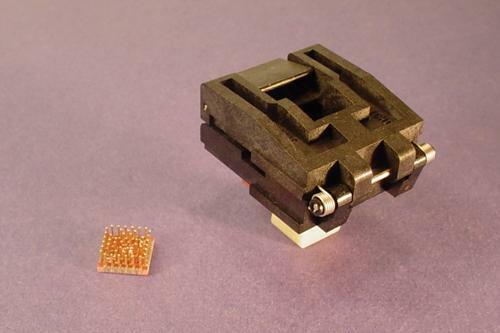 112QFS26A-QF-ZL-SD ZIF clamshell lidded socket to pads for 112 lead QFP package with tip to tip of 23.3mm. 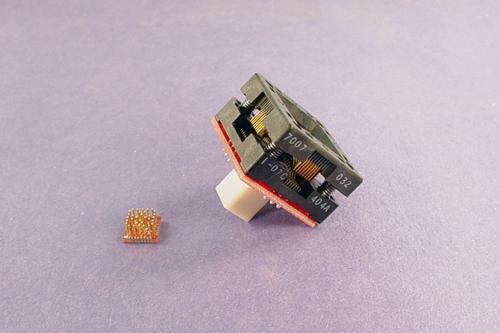 112QFS26C-QF-ZO-SD ZIF open top socket to pads for 112 lead QFP package with tip-to-tip of 0.65mm. 120QFS16-QF-ZO-SD ZIF Open lidded socket to pads for 120 lead QFP package with tip to tip of 16.0mm. 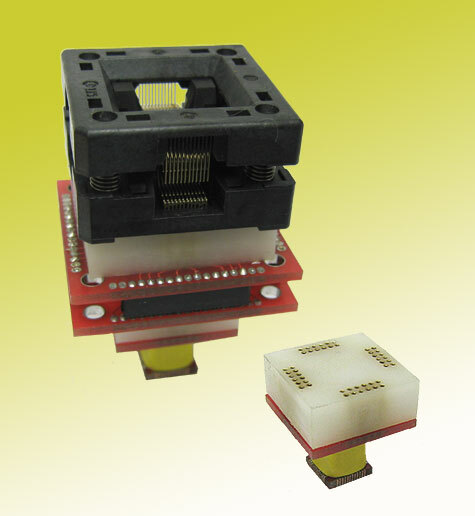 128QFR20-QF-ZL-SD ZIF Closed top, lidded socket to pads for 128 lead QFP rectangular package with 16.0 x 22.0mm tip to tip. 128QFS16-QF-ZO-SD ZIF Open lidded socket to pads for 128 lead QFP package with tip to tip of 14.0mm. 128QFS16-QF-ZO-SD-P ZIF Open lidded socket to pads for 128 lead QFP package with tip to tip of 14.0mm. 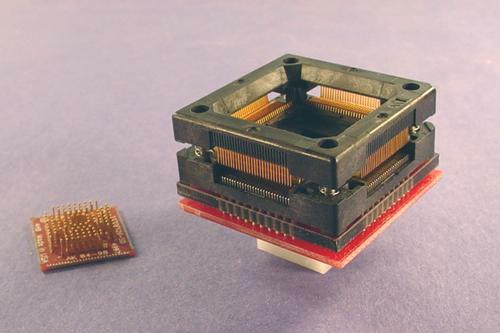 128QFS31A-QF-ZL-SD ZIF Clamshell closed lid socket to pads for 128 lead QFP package with tip to tip of 30.0mm. 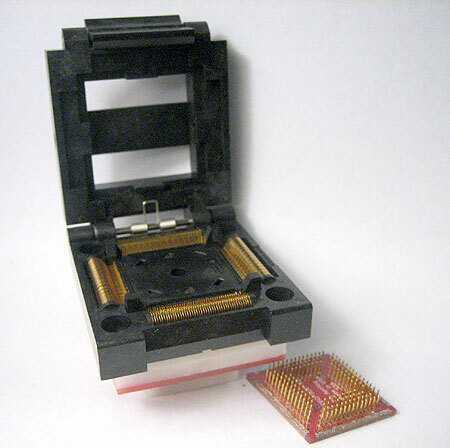 128QFS31B-QF-ZL-SD ZIF Clamshell closed lid socket to pads for 128 lead QFP package with tip to tip of 31.2mm. 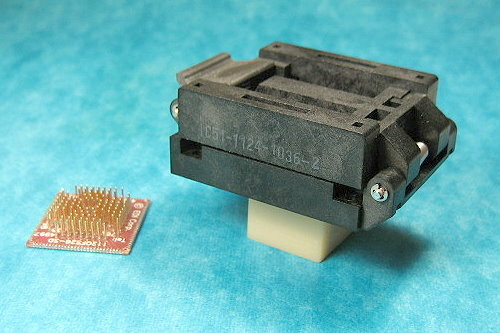 144QFS20-QF-ZL-SD ZIF Closed top lidded socket to pads for 144 lead QFP package with tip to tip of 22.0mm. 144QFS20-QF-ZO-SD ZIF Open lidded socket to pads for 144 lead QFP package with tip to tip of 22.0mm. 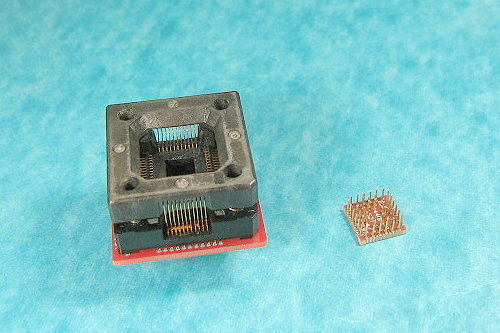 144QFS26A-QF-ZO-SD ZIF Open lidded socket to pads for 144 lead QFP package with tip to tip of 31.225mm. 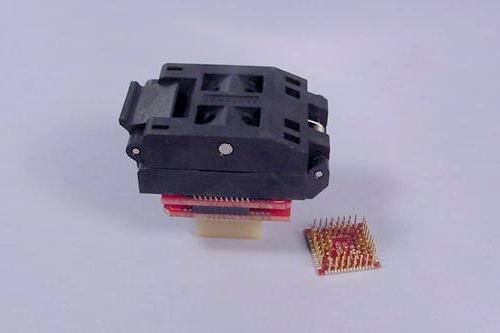 160QFS20-QF-ZO-SD ZIF open top socket to pads for 160 lead QFP package with tip-to-tip of 26.0mm. 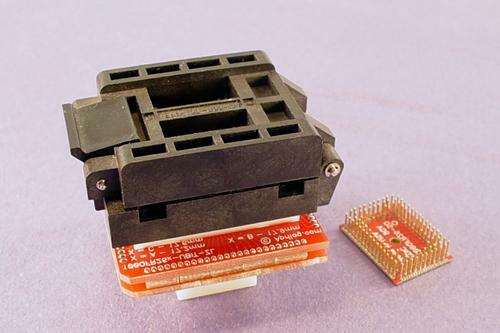 160QFS26A-QF-ZL-SD ZIF clamshell lidded socket to pads for 160 lead QFP package with tip-to-tip of 31.2mm. 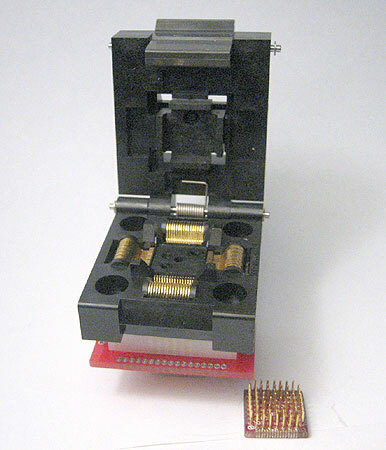 160QFS26A-QF-ZO-SD ZIF open tope socket to pads for 160 lead QFP package with tip-to-tip of 31.2mm. 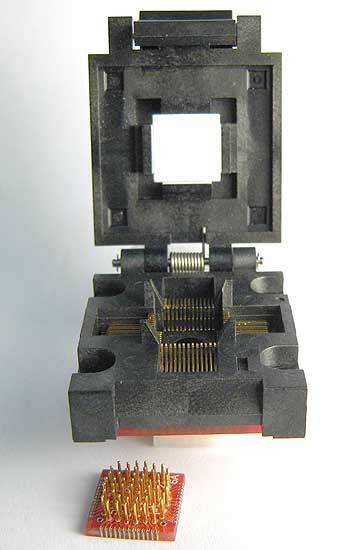 176QFS16-QF-ZO-SD ZIF open top socket to pads for 176 lead square QFP package with tip-to-tip of 22.0mm. 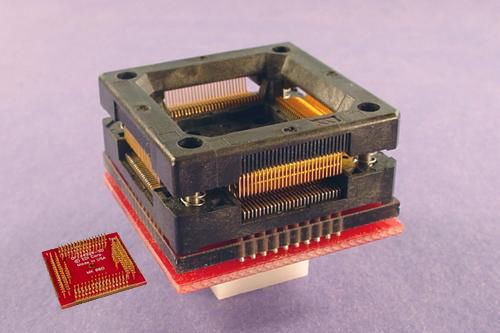 176QFS20-QF-ZL-SD ZIF Clamshell closed top socket to pads for 176 lead QFP package with tip-to-tip of 26.0mm. 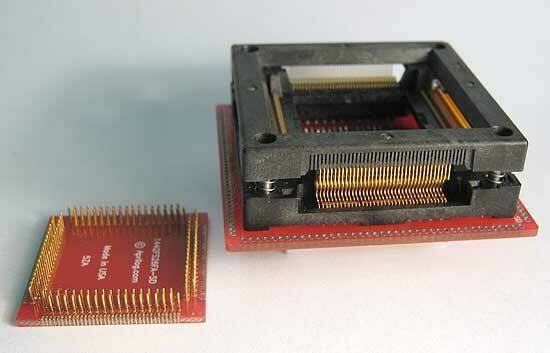 176QFS20-QF-ZO-SD ZIF open top socket to pads for 176 lead QFP package with tip-to-tip of 26.0mm. 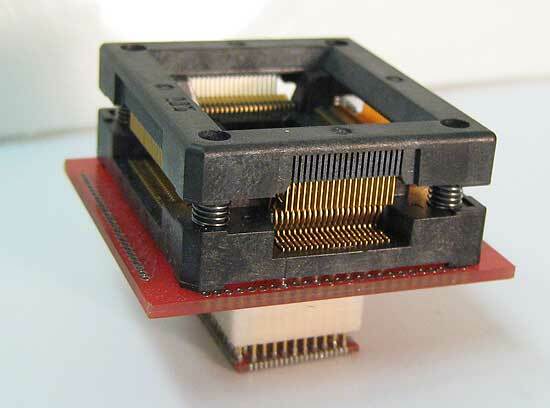 208QFS20-QF-ZO-SD ZIF open top socket to pads for 208 lead QFP package with tip-to-tip of 30.6mm.